This whole cycle has been full of characters I've only been aware of peripherally but really interested in reading. 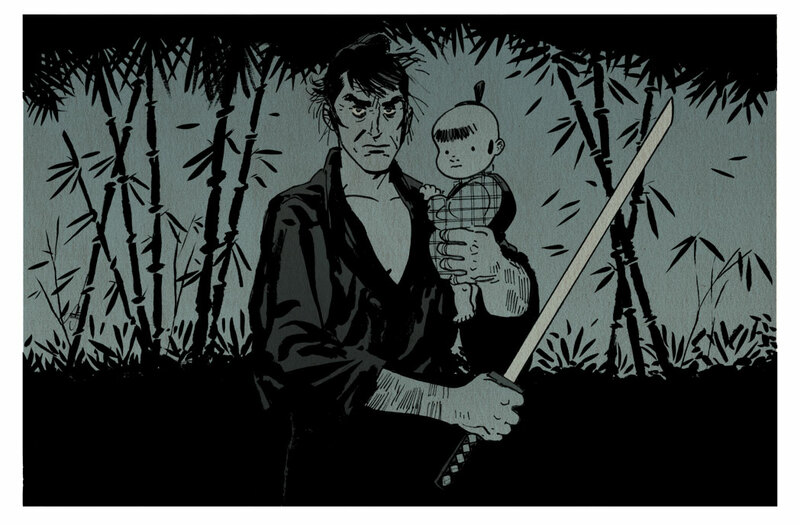 Lone Wolf and Cub is no different. This was a blast to work on, great pick Dan! You can see the inks without color over at my blog. More babies need "baby 'burns"!! Great work as always. 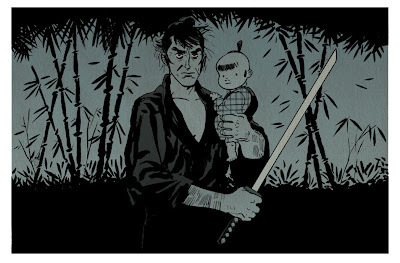 Love Wolf & Cub. Started with it when First was reprinting it way back when I had hair. Beautiful work, Evan. Love the "Cub". Brilliant, as always! I love the tone, and the beautifully spotted blacks. This has a Japanese Silk Screen feel to it. Beautiful. Lovely blacks, Evan! Those tree/leaf silhouettes are super strong! Great work, Evan! The single color works especially well on this.